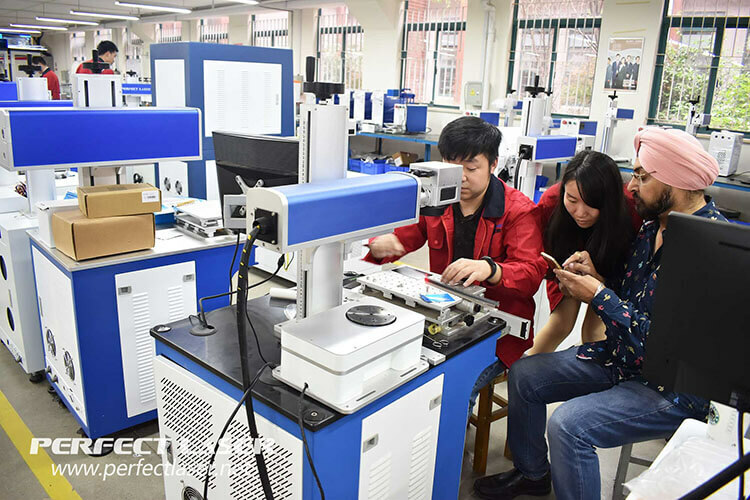 ‍‍With the continuous development of the laser industry,Perfect laser has been attracting domestic and foreign customers to visit with a good reputation. For us, every guest coming all the way is an affirmatian that the progress and development of Perfect laser. 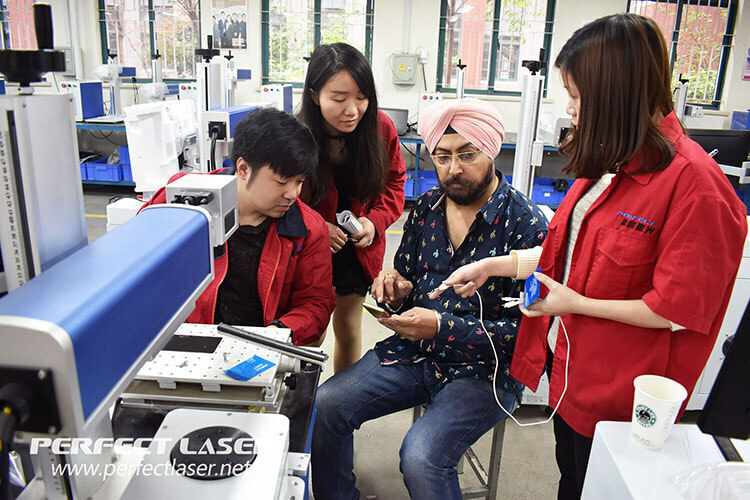 April 19, 2017, an Indian customer came to Perfect laser to inspect marking machine. All staff expressed warm welcome and arranged a comprehensive reception. The whole by our clerk and engineer accompanied, on-site demonstration of the marking machine operating process. Through this inspection, the customer is amazing by the working principle of laser marking machine and the good performance of the configuration, and has expressed the initial intention of cooperation. If you want to know more,please click in Perfect laser.